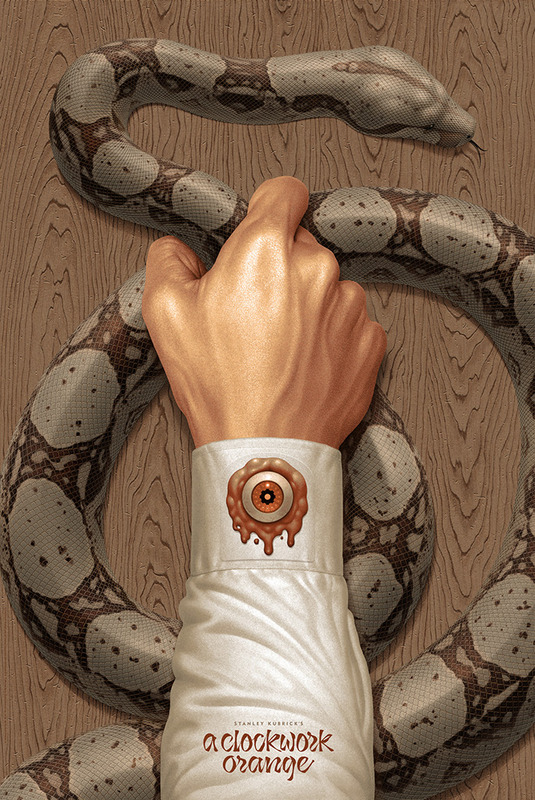 Today, Mondo teams up with artist Boris Pelcer to release a new movie poster for Stanley Kubrick's iconic film, A Clockwork Orange! Pelcer’s unsettling take on the film reminds us of how terrifying the film is, even if just below the surface. A Clockwork Orange by Boris Pelcer is a 24”x36” hand numbered screen print. Limited to just 275 pieces, this movie poster will go on sale at a random time today, Thursday, January 31st, at the Mondo online store for $60.